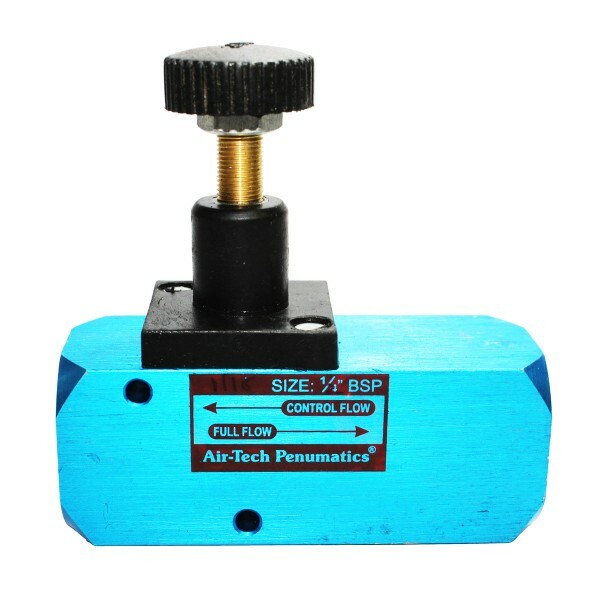 Pressure Rating: Up to 10-12 kg/cm2. Working Medium: 40 Micron Filtered Air Operating. Pneumatically control valves are valves that control the flow of pressurised air. One of the most common types of controlling valves is the needle valve. Needle Valves are used to control the rate of flow in a pneumatic system by controlling flow in both directions. Material enters the input port, travels through an adjustable orifice and out the output port. 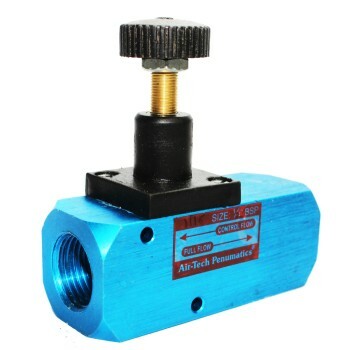 Another medium such as water (hydraulics) or electricity, for example, may also be used as an actuator.In some cases, the valves are operated manually rather than automatically.